The five-star Hotel Melia Hacienda del Conde is designed so that all the worries are left outside the hotel premises, because once you enter you immerse yourself in a whole new world of sensations that will make your stay an unforgettable experience. The always welcoming island of Santa Cruz de Tenerife will welcome you with its stable and perennial summer climate, where you can visit beaches as paradisiacal as Las Teresitas beach and, of course, the imposing Teide volcano, the highest peak in all of Spain. 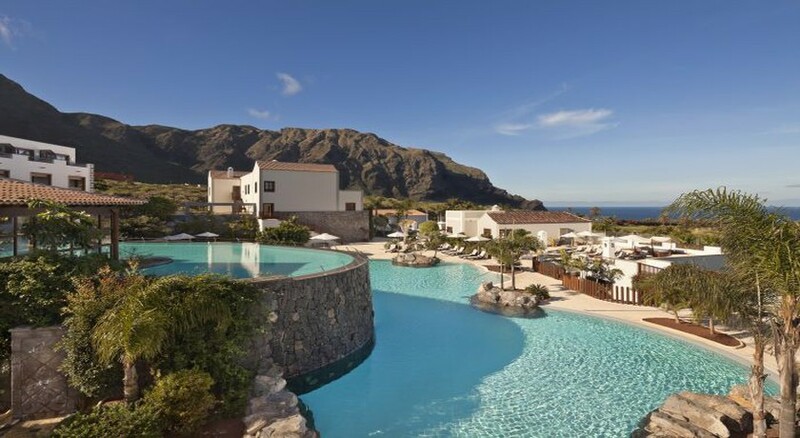 Within Melia Hacienda del Conde you enjoy every moment of your stay as its facilities make available a wide range of leisure and entertainment opportunities. Water is the undisputed fundamental element of this luxurious hotel, which will give you the opportunity to find a refreshing dip in its swimming pools bathed in natural light and, especially, in its pools by candlelight, whose intimate atmosphere and cosy setting will immerse you in a sea of ​​sensations. In addition, thanks to the fully-equipped gym that you have at your disposal, along with the massages which the hotel provides, along with a host of other benefits. This is an adults only hotel. 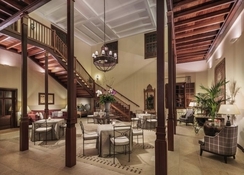 This luxurious five-star hotel is located on La Finca Street, in a natural environment characterised by its tranquillity. If you want to know more about the whole of the island of Tenerife, then you can dive into any of its many beaches, such as the one of Los Cristianos, Las Teresitas and Los Gigantes. 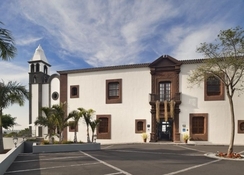 In addition, monuments such as the Cathedral of San Antonio de la Laguna and the church of La Concepcion are also near to the hotel. The nearest airport is Tenerife North Airport, which is 60 kilometres from the hotel. 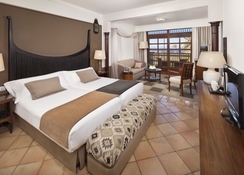 You will feel at home in any of the 117 rooms with air conditioning, minibar and flat screen TV. The rooms have a furnished balcony. 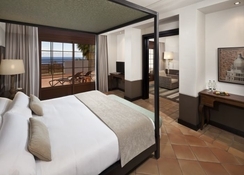 Melia Hacienda del Conde has double rooms of different categories and junior suites, all having in common their great design and, above all, luxury. There is no lack of comfort, large fully equipped bathroom, terrace and of course, comfortable beds and even sofas to have a comfortable stay. Guests can have their breakfast at the premium restaurant Salazar, with a wide choice of fresh food and with flawless service. There is also the buffet restaurant which serves lunch and dinner. Speaking of bars, there is a poolside bar, a wine bar by the name of La Tasca and a cocktail bar. 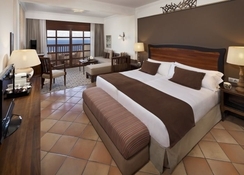 Melia Hacienda del Conde has spectacular spa facilities where relaxation and health of the tenants is the main thing. In addition, you can keep your physical shape in the gym and receive relaxing massages to bring body and soul into harmony. If what you want is to celebrate an event, then you will be amazed with its exclusive rooms.